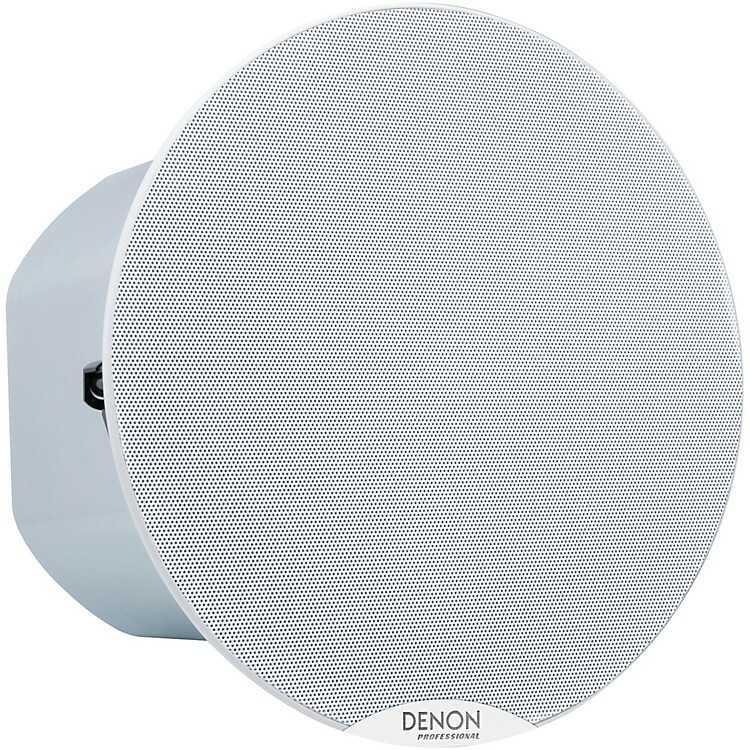 The Denon DN-108S ceiling loudspeaker is designed to deliver exceptionally accurate, articulate sound while easily meeting commercial requirements for fire-resistance (EN 54-24) and suitability for multiple unit installation. The DN-108S features a metal can-style rear enclosure, which provides a fire barrier behind the speaker to meet commercial fire codes. It also serves as the woofer’s enclosure to optimize its bass tuning and low frequency response. The Denon DN-108S has 70/100-volt transformers to facilitate multiple unit installations without the impedance and level-matching concerns of paralleled transformer-free speakers. Equipped with an 8” woofer, the DN-108S ceiling speaker utilizes high-quality drive units in tuned reflex enclosures and precision electronic crossovers to deliver clean, detailed sound—perfect for music, public address applications and business/educational presentations, while meeting all safety and fire codes as required by commercial venues.